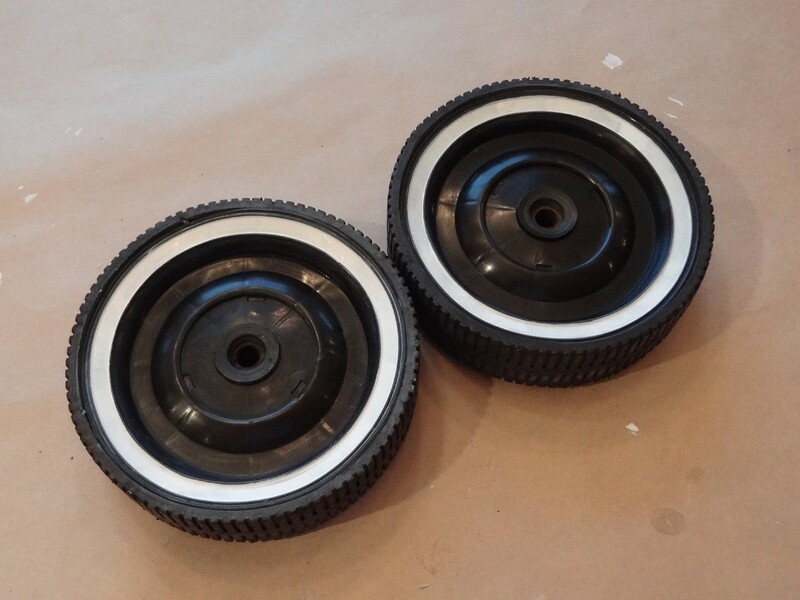 Often old whitewall or pinstriped wheels have faded over time leaving the wheels looking tired and worn out. 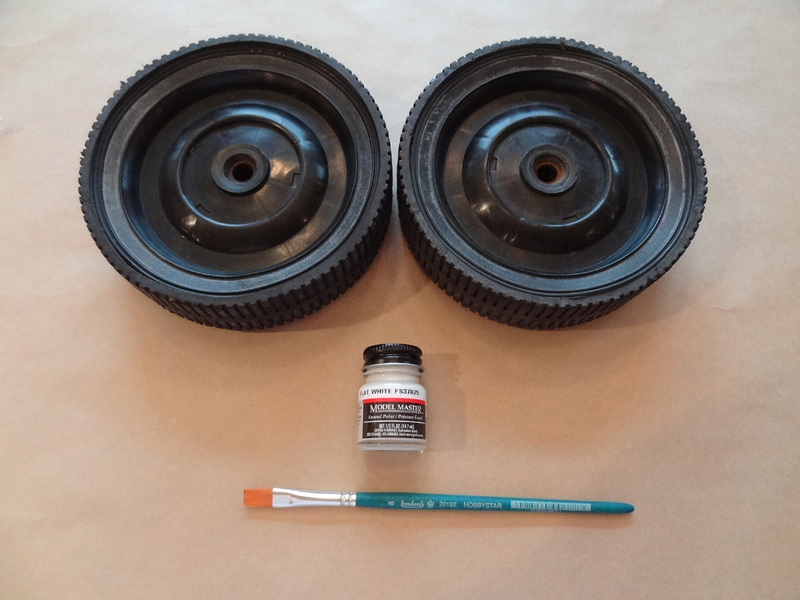 But don’t throw those old wheels away just yet – a few dollars in supplies from the local craft store and you’ll not only be back in business, but also able to keep age correct original parts on your grill. 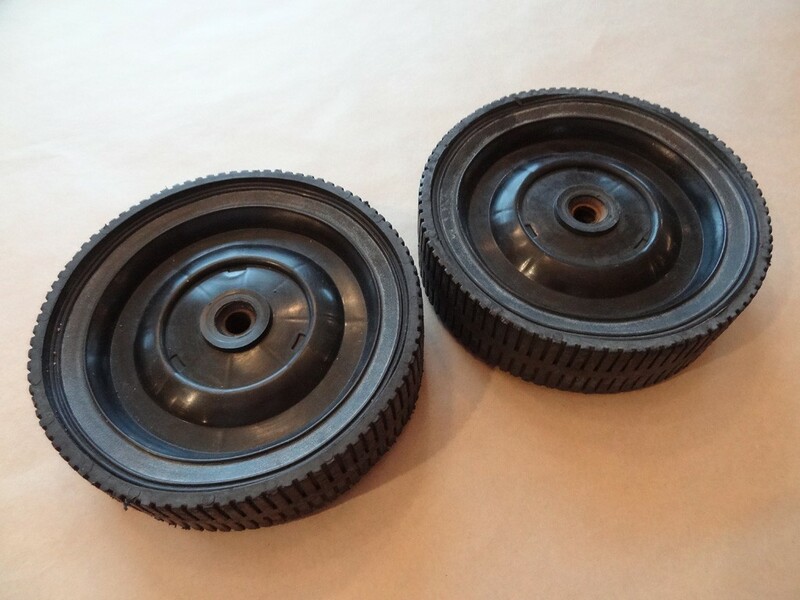 Here is a set of wheels that are particularly worn and faded so they will be perfect for this demo. 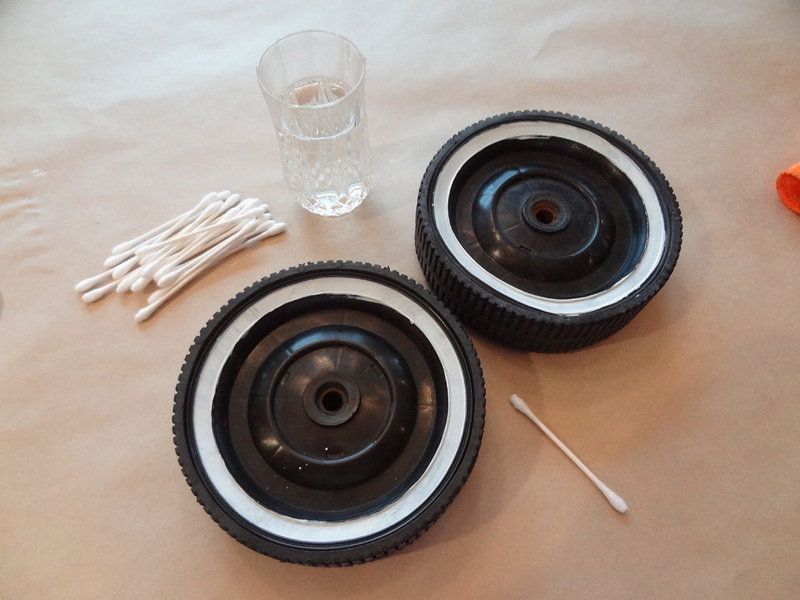 It’s always a good idea to clean the wheels up as best as possible and then let them dry completely before painting. 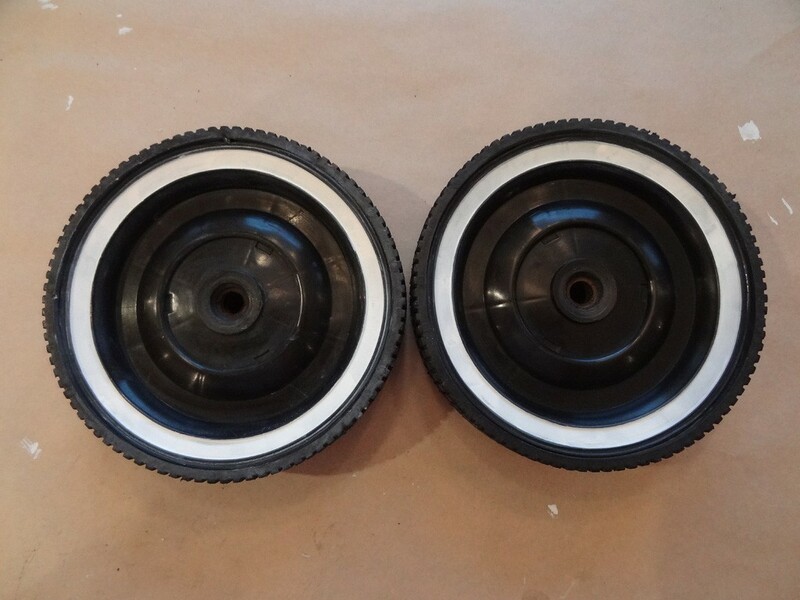 Note that the area that we want to re-paint white has raised lips on either side making a channel of sorts at the outside edge of the wheel. Tip: Flat paint can make brush marks stand out so use long, straight strokes with the paintbrush for the best results. 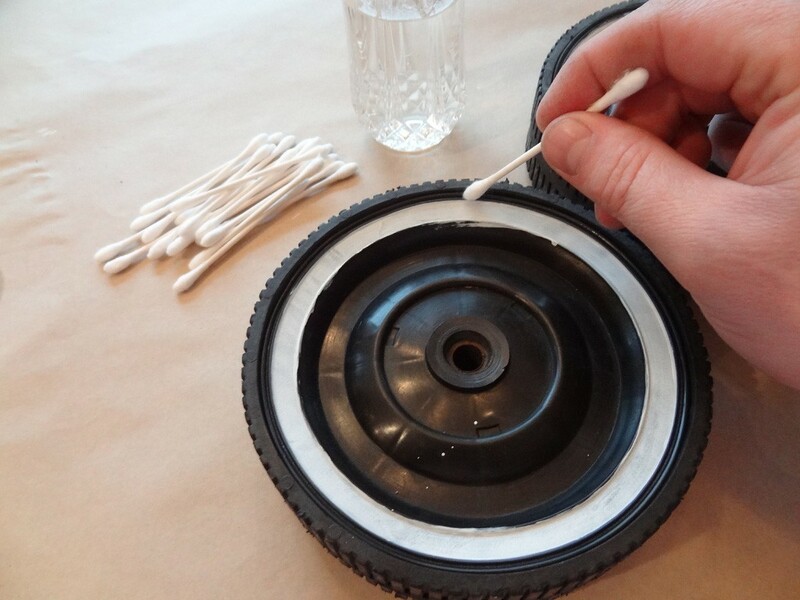 For the inside edge of the channel just hold the Q-Tip flat and rest it on the inner raised lip of the wheel as a guide. Once again just work your way around until you’re left with a nice clean line. Allow to dry for 24 hours and then re-install… Simple as that! 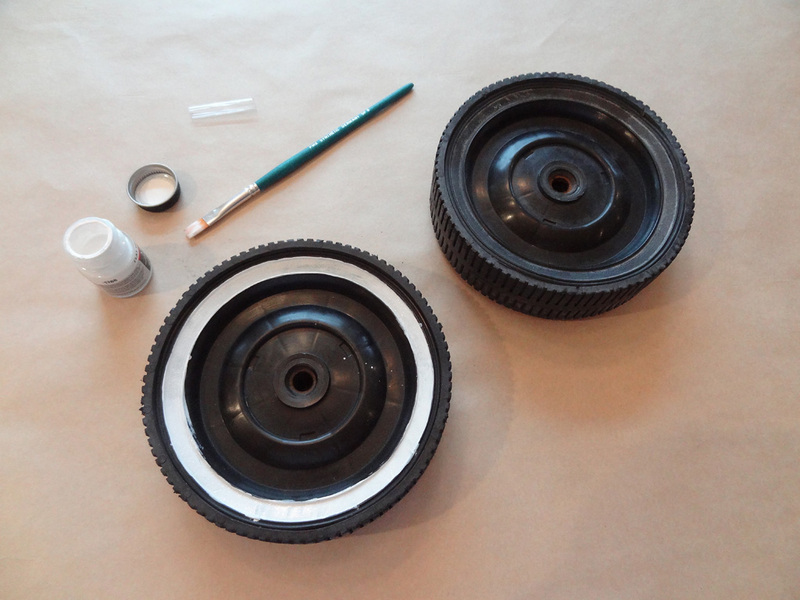 – Some folks like to use something to hold the wheel and allow you to spin it while painting. This could be made easily by driving a large nail (Diameter to suit!) up through a 2″x4″, or some people have even used record player as the base!